Since 1947, Macomb Park District has worked to enrich citizens’ lives through education, recreation and open space opportunities. Standing on the foundation of its history, Macomb Park District is dedicated to the protection and development of facilities and community partnerships. Ambitiously developing innovative activities, events, and social media campaigns has pushed it to be one of the leading providers of recreational endeavors in the area. The dedicated staff of the Macomb Park District aim to​​ assure the continued existence of public open space, assess the public needs for recreational opportunities, provide recreational programs to meet recognized public needs, protect the properties in our custody, cooperate with community groups in meeting a beneficial community need and serve the community with dedication and professionalism​​​​​​​​​​​​​​​​​​​​​​​​​​​​​​​​​​​​​​​​​​​​​​​​​. The Macomb Park District has a rich history filled with success, failures, obstacles, and development. We stand on the foundation of our history, remembering where we have come from as a platform to where we are going. The Macomb Park District recognizes that without proper nourishment nothing will grow. We are dedicated to the educational development of our staff to further grow our organization and our programming. As growth progresses the Macomb Park District refuses to stay stagnant. We recognize that growth equals change, change equals opportunity, and opportunity equals advancement. The Macomb Park District accepts that opportunity will not walk through the front door. We move forward by grabbing opportunities with both hands to achieve our goals. 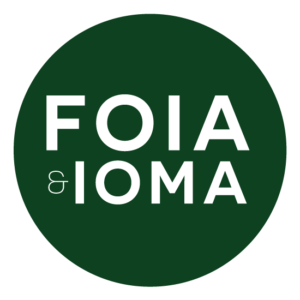 Enacted on July 4, 1966, and taking effect one year later, the Freedom of Information Act (FOIA) provides that any person has a right, enforceable in court, to obtain access to federal agency records, except to the extent that such records (or portions of them) are protected from public disclosure by one of nine exemptions or by one of three special law enforcement record exclusions. Information pursuant to Public Act 97-609 (5 ILCS 120/7.3) is available by contacting the Administrative Office of the Macomb Park District at 309-833-4562 during normal business hours for 8:00 a.m. – 4:00 p.m. Monday thru Friday. Please ask for one of the FOIA Officers of the District.